This is a very strong mortise and tenon because the two tenons give a greater gluing area than a single tenon. It is used where great strength is required at a joint. 1. 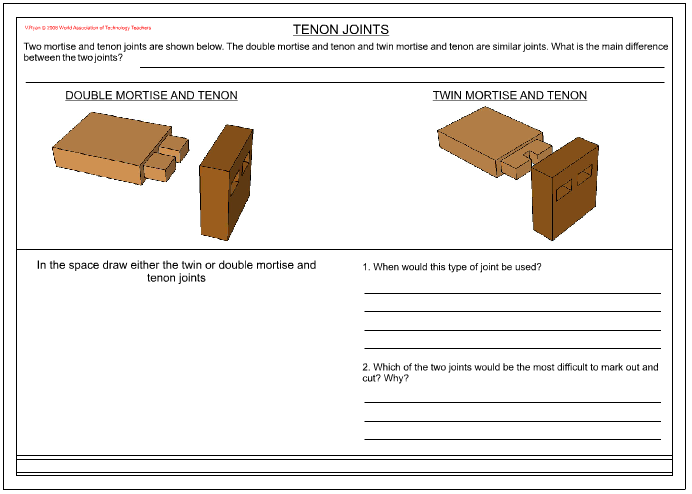 What is the difference between the double mortise and tenon and the twin mortise and tenon? 2. Draw one of the joints shown above.